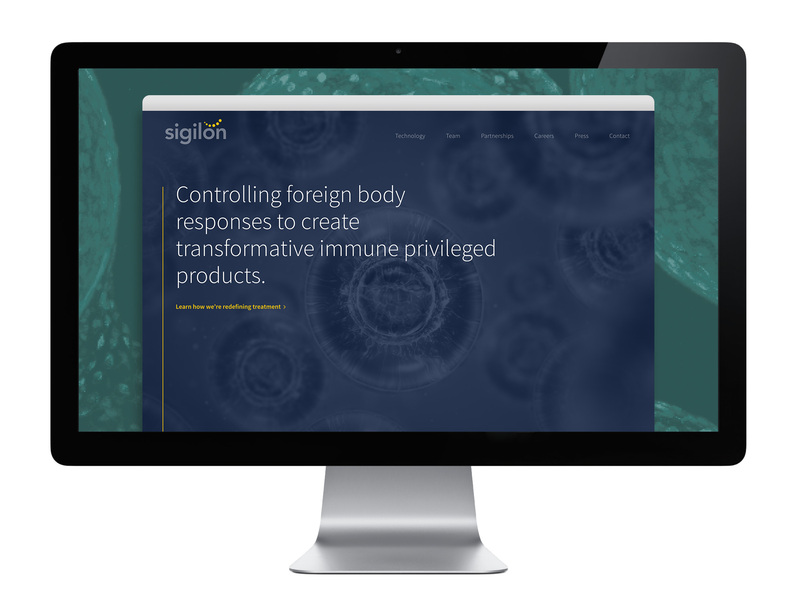 Monderer Design partnered with Sigilon Therapeutics to develop an identity and website to launch their company out of stealth mode, and introduce their platform of biomedical technologies and cell therapies that redefine traditional treatment. Sigilon Therapeutics’s technology is uniquely enabled to overcome the body’s natural immune system by shielding implanted cells and devices from immune attacks and fibrosis. Our design initiatives are intended to grow with the company’s needs, and offers a refined approach that let’s the content shine. We used scientific imagery sparingly, fields of color, and clean typography to carry the viewer through the web experience. 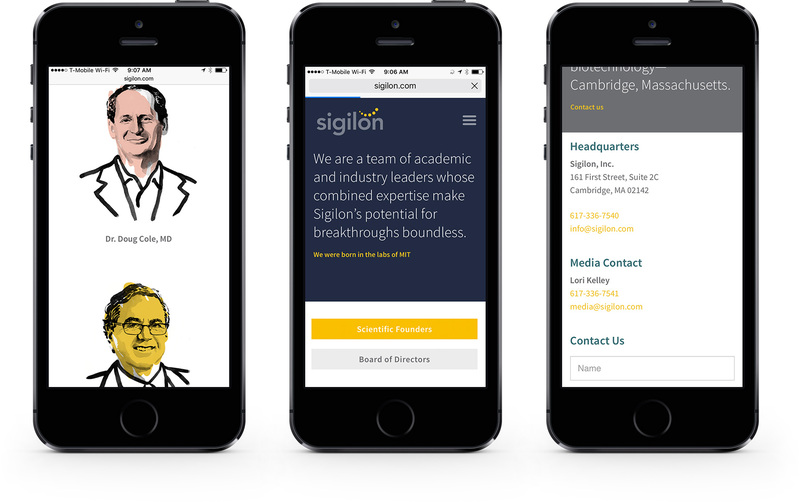 To add a little character to the otherwise pristine design, we worked with an illustrator to create likenesses of the team (academic and industry leaders) that make up the company. The site is fully responsive and built on an intuitive content management system to allow for easy updating. Got a branding or communication project coming up? Thank you for your message, ! We'll get back to you as soon as we can.